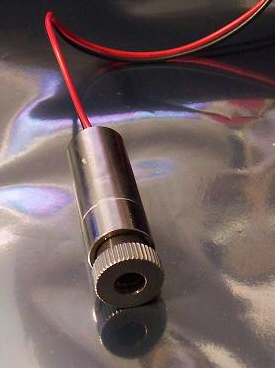 515nm 20mw diode based (not DPSS) green laser module. Comes complete with special heat sink. 3.2VDC 80mA current draw, current control internal. This module uses the OSRAM 30mW diode for a 20-25mw output.